Created from novel interpretations of harmony and nature, The BelleRive conveys an undeniable presence at Prime District 10. 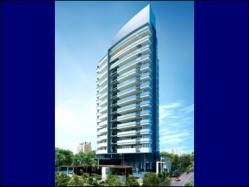 A 15-storey private residential development with 51 choice units, The BelleRive is situated on 5 minutes from Orchard Road, The Singapore Botanical Gardens and within 1km of pretigious schools. At The BelleRive, a wealth of lifestyle, shopping, education and recreational essentials awaits.